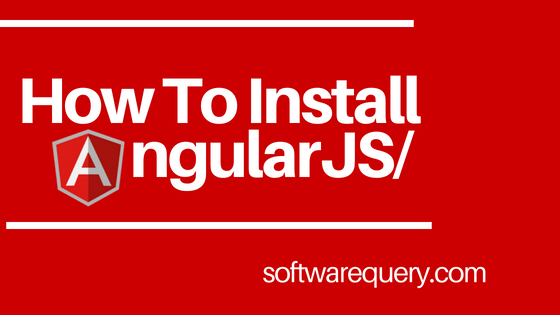 NOTE: Angularjs installation we have required Nodejs setup so first we are installing node js then go to install Angular js. Step-1 Go to Web Browser type Nodejs and click Nodejs link or Ref Url to direct open main website of node js. Step-2 Click current version of nodejs after few minutes downloading will start. Step-3 Ready to install setup of nodejs click to Next Button. Step-4 If you want to change location click to change button or if not click next button. Step-5 If you want to customize setups like Node.js runtime or npm package manager then click the nexr button. Step-6 Click to install button. Step-7 Wait for few minutes to install nodejs setup. Step-8 After install setup click to finish button. Step-9 After install node js setup we are ready to install angular js setup. Go to Web Browser and type Angular CLI and click the first link or if you want to go direct website page go to this link. Step-10 Open Command window if you want to store the same location to install Angular CLI d write a command or if you want to store new location type location drive name like E: or D: then click Enter then write CD space folder name and write a command. Step-10 Write Second Command on window ng new my-dream-name my new dream is folder name so if you want change change it. Step-10 Write third Command cd my-dream-app. After few minutes write forth command ng serve to check installation is complete successfully. Step-10 After Successfully Installation go to Web Browser and type localhost:4200 to start Angularjs.